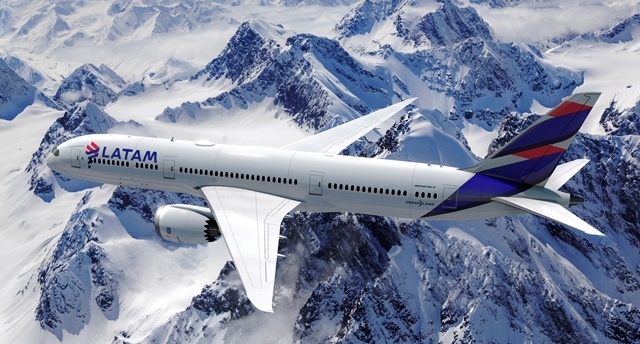 LATAM Airlines Group ("˜LATAM"™) today was named in the "˜World"™ category of the Dow Jones Sustainability Index (DJSI) for the fourth consecutive year, representing one of only three airline groups in this category globally. The DJSI World index comprises the leading 10% of global companies in the "˜S&P Global Broad Market Index"™ in terms of sustainability, based on an annual independent assessment of economic, social and environmental criteria. As part of the corporate sustainability assessment, LATAM achieved 100% scores for "˜efficiency"™, "˜reliability"™ and "˜climate strategy"™, and was the only airline group in the world to achieve this score in this final category. The Global Sustainable Investment Alliance reports that responsible investment "“ based on the same economic, social and environmental criteria "“ is growing significantly and was applied to 26.3% (US$22.89 trillion) of worldwide assets under management (AUM) in 2016. This marked a 25.2% increase from 2014, when US$18.28 trillion of assets were managed under responsible investment strategies. As of August 2017, there were also more than 1,750 signatories to the Principles for Responsible Investment (PRI), a United Nations partner and the leading proponent of responsible investment. Together, its signatories are responsible for approximately US$70 trillion of assets under management, representing more than a seven-fold increase from when the PRIs were published in April 2006. LATAM Airlines Group is currently one of two Chile-based companies on the DJSI World Index. Only 11 other companies from the region were listed on this index "“ six from Brazil and five from Colombia. The evaluation system adopts a "˜best in clas"™ logic which selects the companies with the leading performance in their respective industries each year. This year, DJSI invited 3,484 companies "“ covering 60 industries in 47 countries "“ with the best financial performance measured by market capitalization in the S&P Global Broad Market Index to participate in its annual corporate sustainability assessment. Out of the companies invited, 319 (including LATAM Airlines Group) qualified for the DJSI World Index.